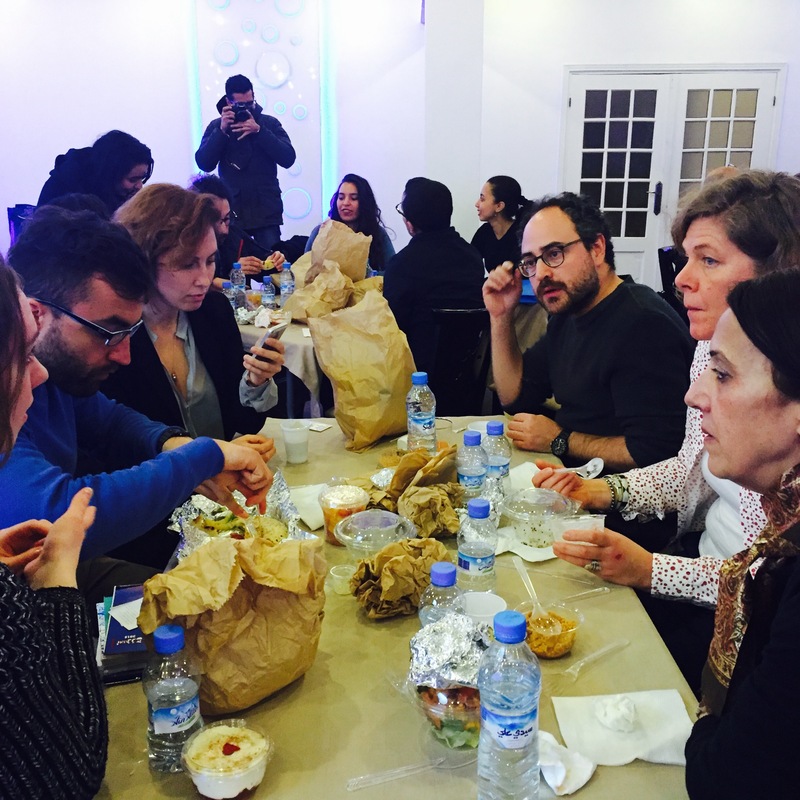 The Casablanca Book Fair hosted its first rights hub, which brought together passionate publishers and agents for discussions of Arabic, African and francophone literature. This year’s 22nd Casablanca international book fair, the Salon International de l’Edition et du Livre, had something new on the program: a two-day international rights hub. 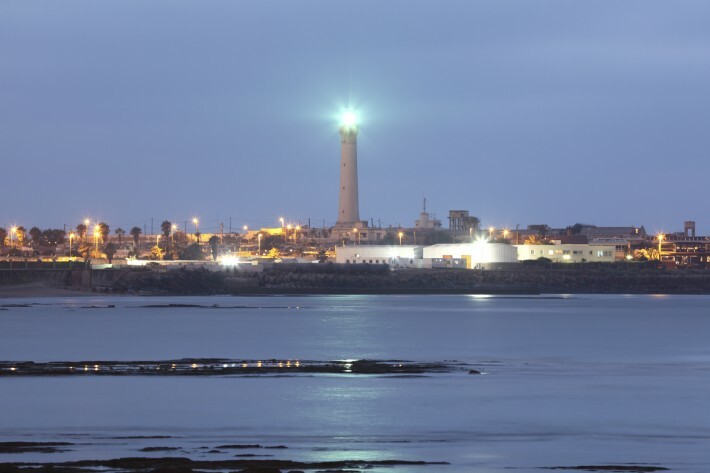 Unlike the veteran rights professionals from Lebanon or Egypt, Moroccan publishers—who print in three languages: Arabic, French and Amazigh—typically bought more rights than they sold, and had mostly confined themselves to the Francophone circuit. Until recently. It could be said that the 2014 Frankfurt Book Fair was the starting point for a new direction, when Morocco took a collective stand for the first time, uniting 12 publishers. 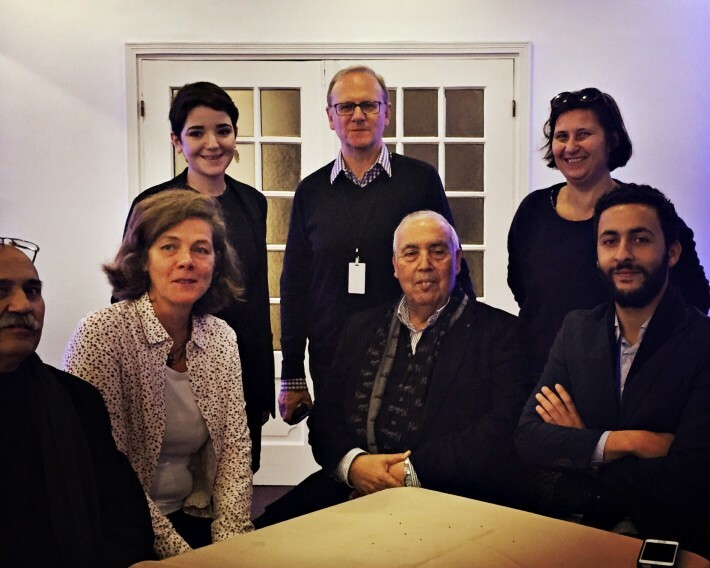 This year’s inaugural rights hub invited to Casablanca eight fellows from abroad and 13 publishers, seven of them from other African countries and the Middle East. After several professional training sessions on rights organized by the French Book Office and Paris-based agencies La Petite Agence and Astier-Pécher, everyone came to the conclusion that Moroccan publishers had lists that were of interest to international publishers. With the founding of the Union of Moroccan Publishers in 2015, “everything came together,” says Nublat. Her office, under the French embassy in Morocco, split the cost of organizing this year’s new rights hub at the Casablanca Book Fair (about 40,000 euros, US$44,530) with the Moroccan Ministry of Culture. A number of the publishers chosen to participate are members of the 400-strong International Alliance of Independent Publishers, which is divided along six linguistic lines. The Alliance serves as a resource for publishers who want to acquire original content. Elise Williams for Maclehose Press. Astier opened the rights hub with an introduction to the book industry in Africa. He reminded listeners that the continent’s population stands at more than 1.1 billion and is the youngest in the world, which he said means there is tremendous potential as far as the book market is concerned, provided economic growth continues. 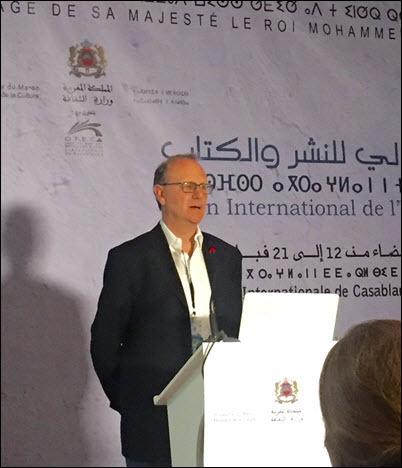 Xavier Luffin, a French-to-Arabic translator and professor at the Université Libre de Bruxelles (Belgium) gave an overview of Arabic literature, publishers, and resources, and ways to find new writing. Using an event model that Astier and Pécher launched last year at the Paris Book Fair, publishers introduced themselves and three books they thought would be interesting for foreign publishers. Matchmaking sessions between publishers and fellows were organized during the afternoon. Mexican publisher Eduardo Rabasa, who publishes 70 percent of his books in translation, said he was actively looking for Arabic-language authors. But it wasn’t just about European publishers sourcing African and Middle Eastern publishers. Rana Idriss, of Lebanon’s Dar Al Adab said she that although she knew the Middle Eastern publishers, the rights hub had been particularly interesting to her in terms of meeting European and Mexican publishers “in a more intimate and easier setting” than Frankfurt, for example. African publishers are of interest to Idriss as well, given the Lebanese communities in countries such as Senegal or the Ivory Coast. And Senegalese publisher Seydou Nourou Ndiaye, of Editions Papyrus Afrique, was very interested in Idriss’ 2014 novel published in Arabic, The Senegalese, by Brahim Moussa, which is about a Senegalese fighting colonialism and fleeing to Egypt. Pierre Ndemby Mamfoumby, of the Gabonese publishing house ODEM, said he printed his books in France, which was very expensive and was investigating printing in Morocco. Fouzia Doukkali, of Les Editions Toubkal, gave an impassioned talk about how important it was for Europeans to understand how and what people are thinking in contemporary Morocco. Novels aren’t the only way to get to know another country, said Doukkali, essays are important, too. In refreshing contrast to books about Islamic extremism coming from many Arab countries, Toubkal publishes books about women’s rights, or apostasy in Islam. 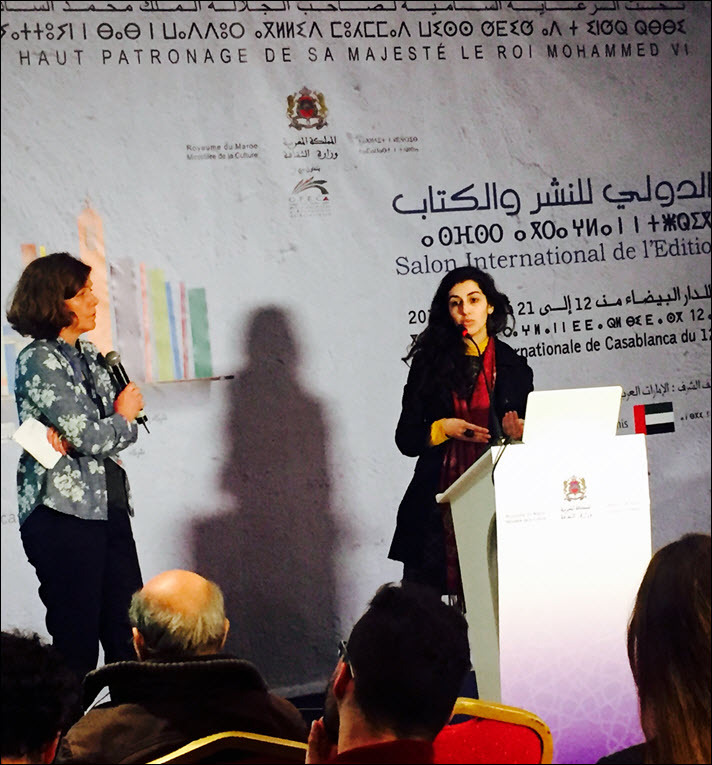 Mounia Masmoudi of Dar El Janoub/Sud Editions in Tunisia echoed Doukkali and said her mission was to publish Tunisian intellectuals and to fight misinformation. At the end of the two days, all participants seemed enthusiastic and genuinely interested in what they had learned. “The huge effort made to open up doors to others has been wonderful,” said Elise Williams. Kacem Basfao’s students, who produced a tri-lingual catalog for the rights hub event and attended all the sessions, said they’re proud that Casablanca has hosted the first rights hub on the African content.